Washington D.C. is burning, blowing up before SSA Ellie Conway’s eyes. More than ever she needs her controversial connections to prevent more terror attacks and horrifying deaths. Surveillance footage mysteriously wiped away, explosions rocking the city, an insider forging Ellie’s signature to release suspects, and her helicopter taken down, all challenge Delta A to find the link between the terror attacks, missing girls, coded price lists and a rogue Interpol operator. Supported by the new man in her life, Ellie puts the pieces of the puzzle in place. 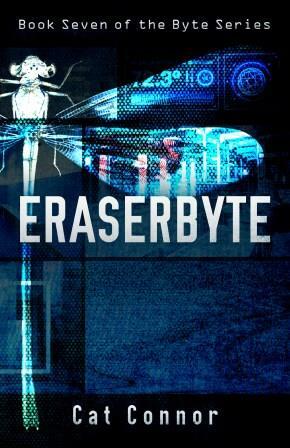 Eraserbyte is Cat Connor’s seventh thriller in the Byte series.